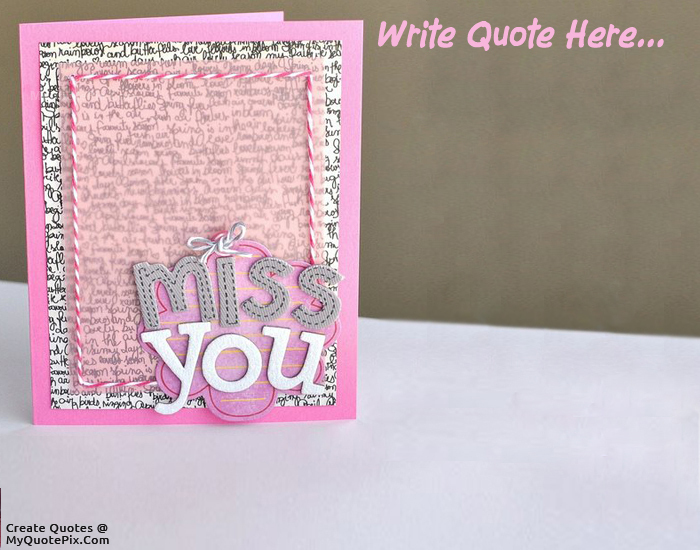 Write quotes, poetry, messages, stories, love letters, aspirations, notes or any other long text on Miss You Wish Card picture from the Wishes category by using this quote design maker. You can share this Wishes quote on your blog and social media. Share this quote design maker with your friends. When I miss you, sometimes I listen to music or look at pictures of you, not to remind me of you but to make me feel as if I am with you. It makes me forget the distance and capture you. MISSING someone is a part of loving them. If you are never apart, you will never really know how strong your love is. Remember when someone walks away from you, it is not the end of your story. It is the end of their character is role in your story.